Check out the new sketch by Ellen and the Degenerates! Today, we are THRILLED to debut the new sketch by Ellen And The Degenerates! And, on top of that, the band will be releasing their first full length! Ellen and the Degenerates have been kicking it across Brooklyn for a few years now and their debut album, Return of the Herb, will be out this February. The album is a killer mix of first wave West Coast punk, CBGB's art-rock, and classic era No Doubt (check out thederanged angst of tracks like "Big Bones" and "Not my Friend"). 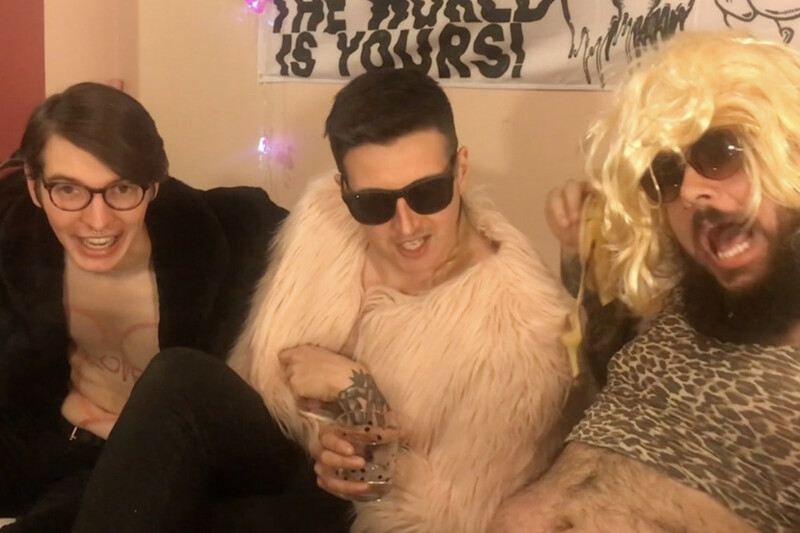 To celebrate the album, the band has filmed a video that follows them on their quest for rock-stardom, and even includes a music-video-within-the-video that is hilarious if you like dissing on bands like Depeche Mode. Speaking to Punknews about the video, singer Elena said, "Hey! It's me, Elena. The singer! We made this sketch because we love art. Enjoy!" The album is out Mid-February and you can pre-order it here. They're also playing Buschwick on Saturday with Ramona and you can check out the details here. Meanwhile, see the new video below, right now! Exclusive Videos: Screaming At Traffic: 'YBF"